There is something gritty and slightly dirty about Simon Spurrier's writing, making it an acquired taste in science fiction at times. Certainly in The Culled, the first book of the Afterblight Chronicles published by Abaddon Books, we are introduced to our main character in a way that parades his vices and indulgences whilst attempting to crash land a plane. The first chapter is a difficult read; the chaotic persona of our central character who evidently doesn't enjoy flying and is midway through a drug induced reminiscence is tricky to negotiate. However there is a lot of important exposition within these pages. The Afterblight Chronicles are a shared world fiction, in which a different writer is invited to produce a story every year. Spurrier sets the context out carefully and this blueprint is key information for writers who have followed him. However from thereon we are treated to a thoughtful and carefully plotted dystopian story; one man's crusade against the dominant religious dictatorship of the neo-clergy who have risen up across the world in the aftermath of the Blight, an epidemic that wiped out 80% of Earth’s population. The first person narration holds a consistent and strong voice throughout and there is something of Harry Harrison’s DiGritz in Spurrier’s main character. However, this rat is more of a wolf, iron more than steel and certainly not stainless. The weaving in of a second, initially unconnected perspective in the middle part of the book does detract a little bit, particularly as we have come to connect so closely with our narrator and his mission, but when these two characters meet and connect we are given further insight into the pivotal roles they are to play in bringing about revolution in this desperate world. The religious themes and motivation of the neo-clergy are perhaps worth exploring in further detail, but that’s ground left to other books in the Afterblight series. We do get an answer to the question of why the priests are transporting children from all over the world to a centralised location in New York – the real reason certainly as John-Paul Rohare Baptiste, head of the Apostolic Church of the New Dawn sees it. When reading, it did strike me that the first person voice of the story would really lend itself to an audio book treatment. Something for the publisher to consider, perhaps? 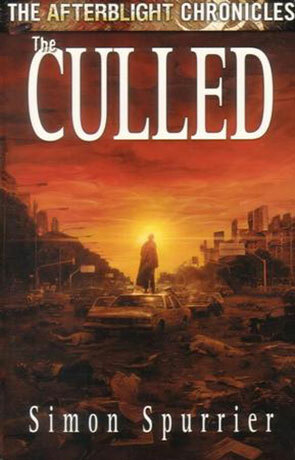 If you like your science-fiction first person, gritty and near future, The Culled is a book you will enjoy. It feels connected to our current reality, with plenty of modern patois blended with new concepts. New drugs, old weapons, new tech and old insuring we are both familiar and disturbed. Written on 16th March 2015 by Allen Stroud.